Items Included: Current Vaccinations, Vet Exam, Deworming. 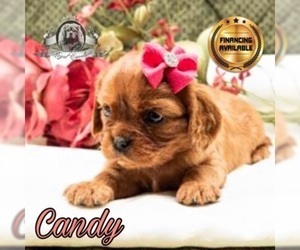 All puppies come with a Puppy Basket which includes: A basket A bandana Baby wash A toy Puppy Food Blanket with pack scent Folder with their detailed information, frontline flea treatment, and heart worm tablet. Ranger is 15 pounds, 2 years old, long shiny Black and Tan coat, has a great pedigree full of good health. He has a very sweet, mellow temperament. Paisley is 15 pounds, a month shy of 1 year old, has a gorgeous, full Blenheim coat and has champion lines in her pedigree. She is playful and loves to cuddle most of all. Very resilient, has been in a parade and loved it. Also visits my children’s classrooms and does great. Overview: The Cavalier is very happy to be with children and is very gentle with them. 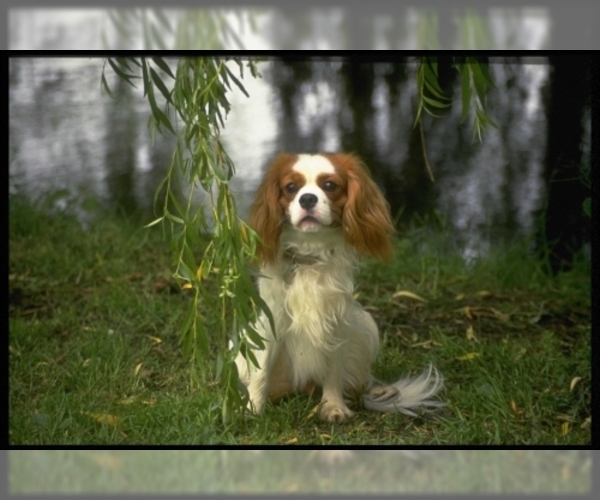 A loyal companion to his owner, the Cavalier needs a lot of exercise to maintain good health. Coat: Silky of moderate length with a slight wave permissible. Long feathering on the feet is a breed characteristic. 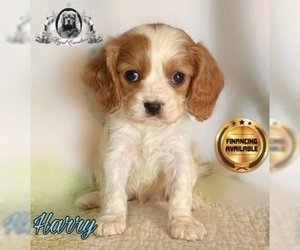 Character: Cavalier King Charles Spaniels are lovable and energetic dogs. 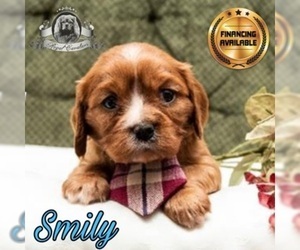 Very intelligent, they're known for their obedience and adaptability. 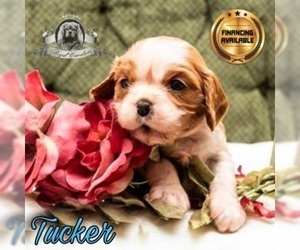 Temperament: This breed gets along very well with children, other dogs, and most household pets. 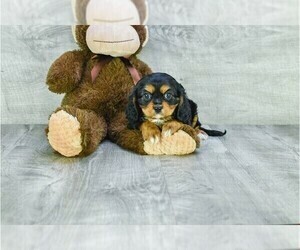 Care: The Cavalier King Charles Spaniel requires regular grooming with a comb. Training: This breed is usually very easy to train. Its intelligence and willingness to please make training an enjoyable process. 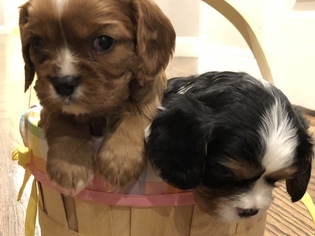 Activity: The Cavalier King Charles Spaniel can adapt to your family's activity level, but enjoys exercise when given the opportunity. Health Issue: This breed is prone to syringomyelia, eye disease, dislocating kneecaps, back troubles, ear infections, or hearing trouble.